Okay, so it’s not really 101; it’s nine ten, but some of them are really good. Let me know if you can think of more. Bring the whey almost to a boil (200° F). 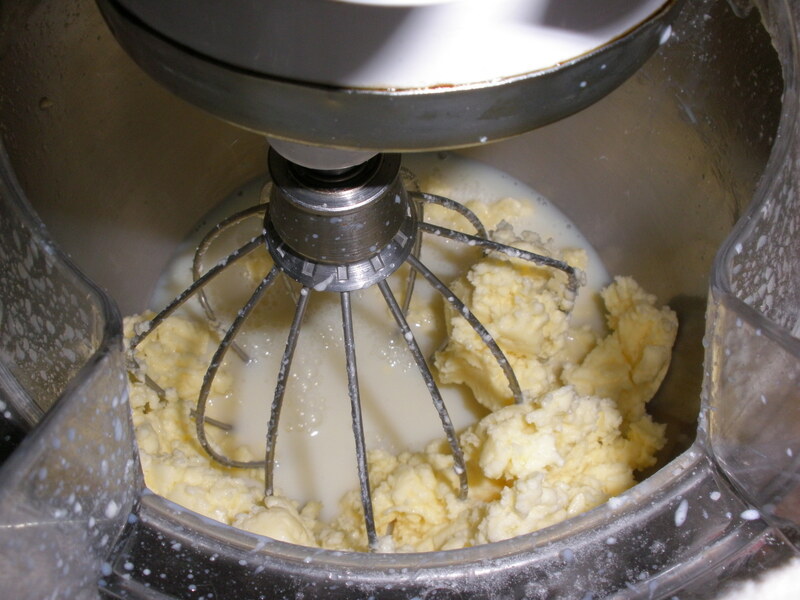 The ricotta will begin to precipitate out of the whey and form little white particles that float around in your whey. Line a colander with a cloth napkin and set it over a large bowl or pot to catch they whey. Hang the ricotta to drain. After it has drained for a few hours, salt it to taste. Keeps in the fridge for up to two weeks. Use it in place of milk or water in your oatmeal. If you eat oatmeal every morning like I do, you’ll use it up quickly. Add it to the stock when making homemade soup. Use it to cook rice, bulghur, barley or other grains. What is this??? Don’t know? Read on. I love when I can reuse or repurpose old things. I almost took this beverage cooler to Goodwill on several different occasions. It was actually in a donation bag when I rescued it for its new life as a . . . yogurt warmer. I don’t know about your house, but mine goes through a lot of yogurt. I’m ashamed to admit that back in the days when we were a more “disposable” household, we went through Go-gurt by the gallons. I’ve long since stopped buying Go-gurt for the kids because of both its waste factor and the fact that it is made of corn, coloring and chemicals. However, Hubby was a hold-out on the Go-gurt. He packs his lunch every day and appreciated the convenience factor of the stuff. I finally won that battle when his doctor explained to him that he may as well eat sugar as Go-gurt since it has little or no actual nutritive value and is mostly sugar, food coloring and artificial flavoring with enough yogurt added in so that they can call it yogurt. 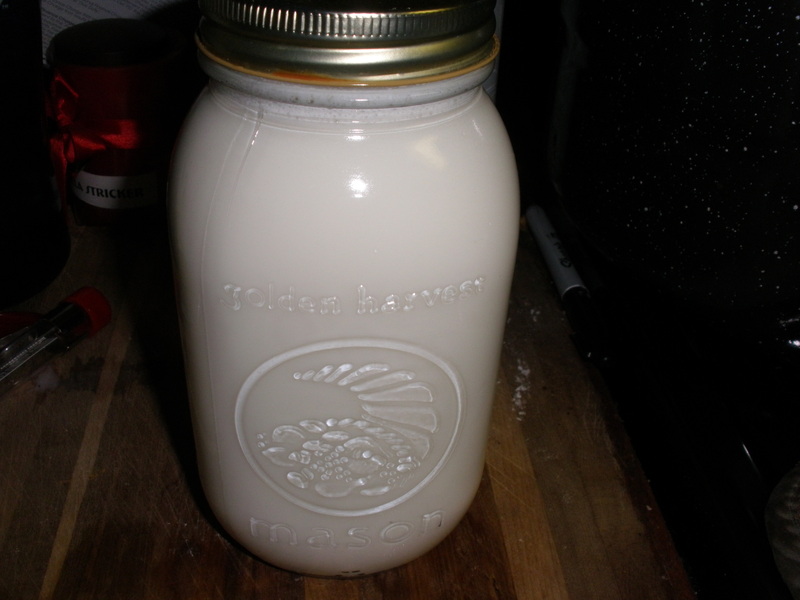 Quart of milk ready to heat. 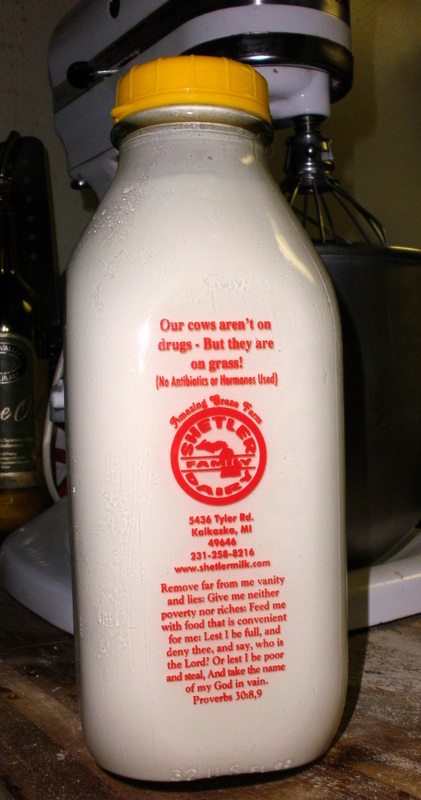 First, fill a quart jar with milk. You can use soy milk if you prefer. 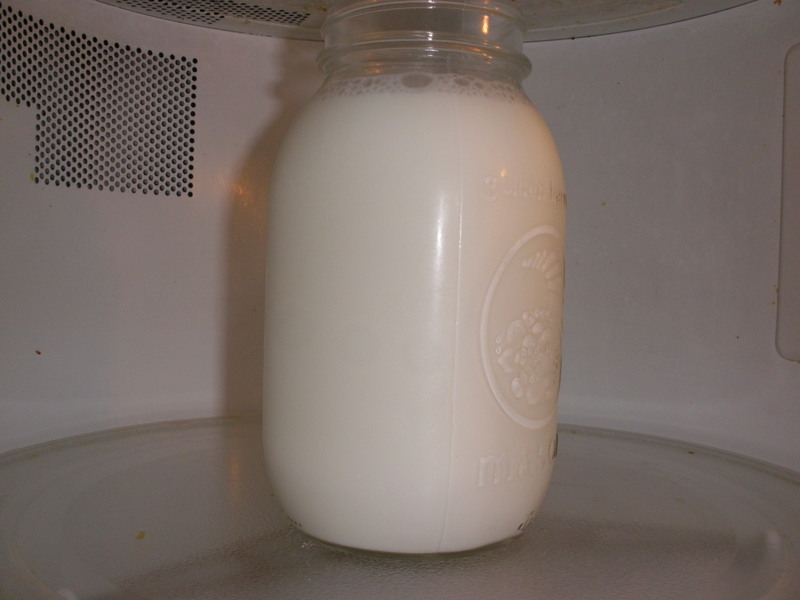 Put the jar of milk in the microwave and heat it until it reaches 110°. (My microwave takes just over three minutes to do this.) 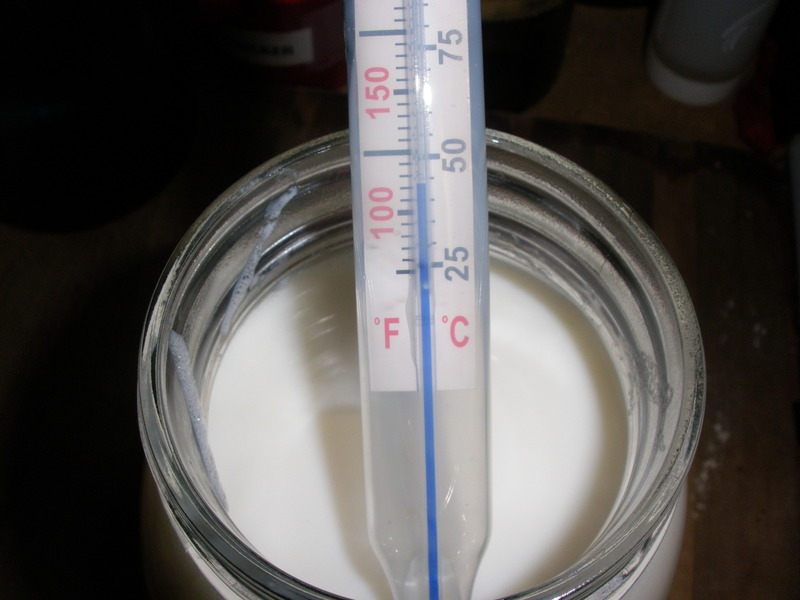 Many recipes tell you to heat the milk to 180° to scald it and then cool it to 110°. I did that when I first started making yogurt, but I don’t anymore. If you’re a purist and you prefer, you can heat the milk on the stove, but it takes a longer time and you have to watch the milk carefully and stir it often to keep it from scorching to the bottom of the pan. Plus, you have to wash an extra pan. The milk may not be exactly 110° after the initial time in the microwave. Heat it a little longer if it’s necessary. If you have accidentally heated the milk to more than 110° or purposely heated it to 180°, you will need to wait for the milk to cool. If you heated your milk significantly past 110°, putting the jar in a bath of cool water will help it reach the correct temperature faster. Whether you are heating or cooling the milk, monitor the temperature fairly closely unless you like having to reheat your milk over and over again to try and get the proper temperature. The bacteria that turn milk into tasty yogurt thrive at about 110°, so keeping the temperature as close to that as possible will help ensure your success. The last tablespoon or so of yogurt from my last batch. Once you’ve gotten the yogurt within a degree or two of 110°, get out your old jar of yogurt, or if this is your first batch, you can use a tablespoon of PLAIN store-bought yogurt. Even if you are making soy yogurt, you will need to use cow yogurt as a starter for your first batch. You can dump (or spoon) the yogurt into the waiting jar of warm milk, but I like to dump the warm milk into the jar with the old yogurt in it to rinse all the yogurt out of the jar without wasting any. 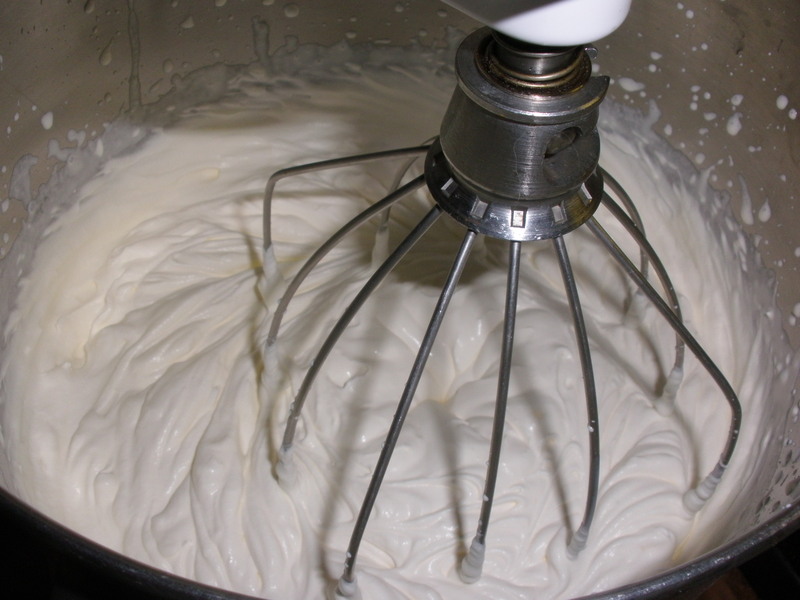 After several batches of yogurt, you may need to buy a new plain yogurt to use as a starter. I haven’t had to buy a new starter, but I do every once in a while. 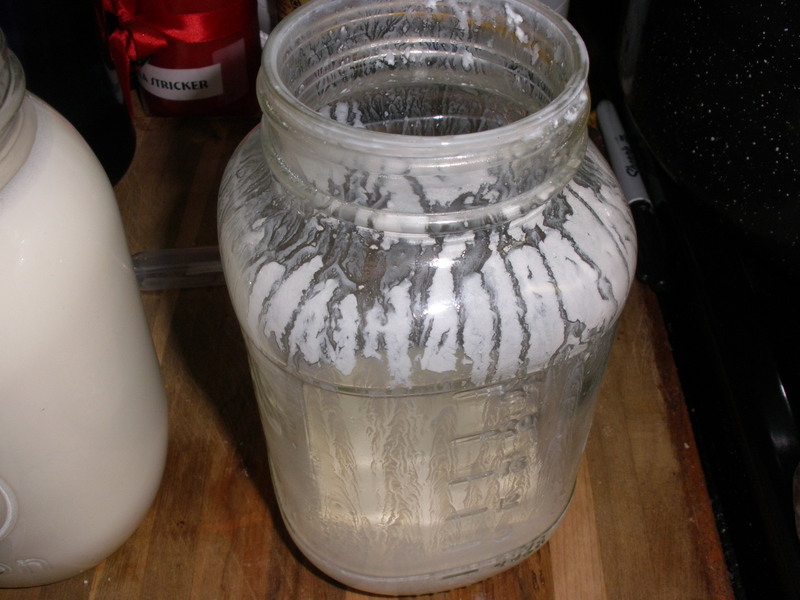 Warm milk dumped into the jar from the previous batch. After I’ve dumped the milk into my old yogurt, I like to dump it back into the clean, new jar. I feel like it helps to keep things more sanitary, but it is probably not necessary. 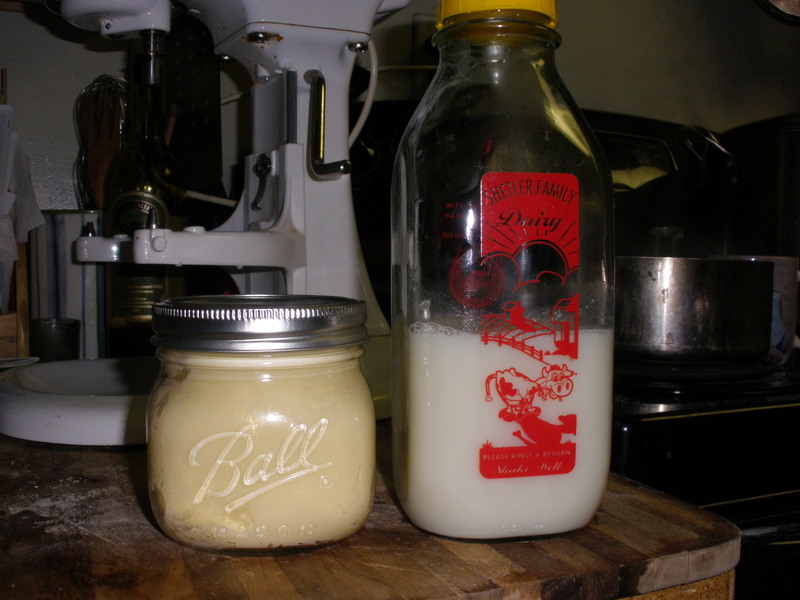 Now that you have a jar full of inoculated warm milk, tightly screw a cap on the jar. If you used a standard-mouthed jar you can either use a canning lid and ring or a standard-sized top from a commercially-made jam or pasta sauce with the same size lid. Either way, make sure the lid is on securely so that water won’t seep into your yogurt in the next step. 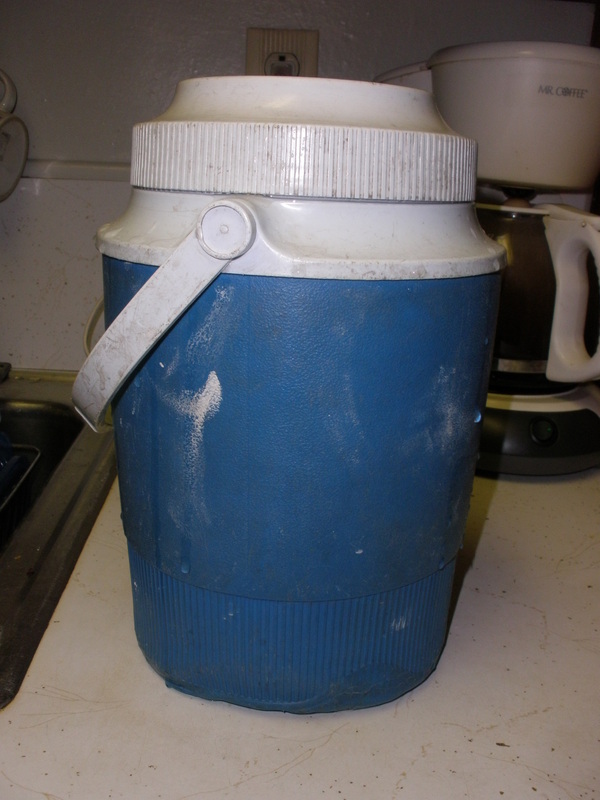 Remember the beverage cooler from the start of the post? It’s time to get that thing out. My old cooler is the perfect size to hold a quart jar of yogurt. Fill the cooler about half full of 110° water. It can be a little warmer, but I wouldn’t recommend water any cooler than that. You can warm water in the microwave or a kettle, but I’ve found if I turn the hot water on in my kitchen and let it run for a moment until it heats up, it is almost exactly 110°, so I just fill mine with hot tap water. Over the sink, set the jar into the warm water. 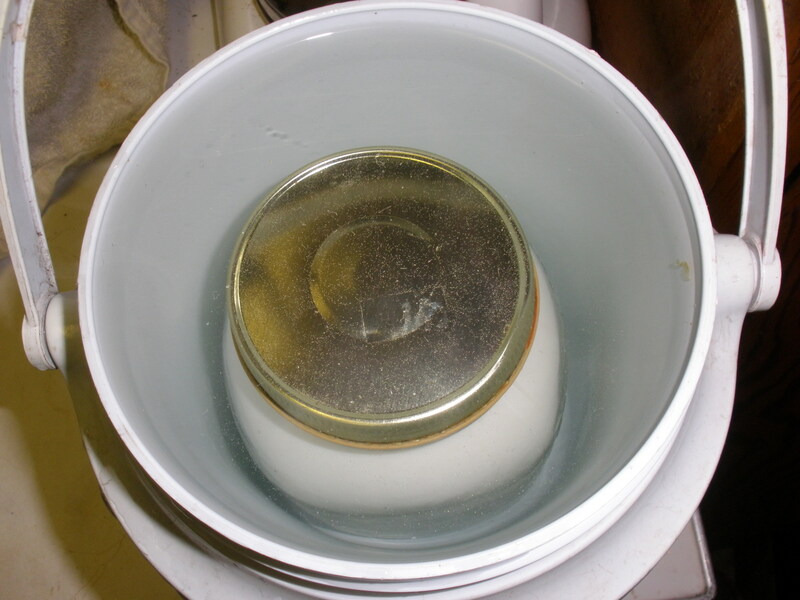 If you don’t do it over the sink, water will overflow all over your countertops when you submerge the jar of milk. 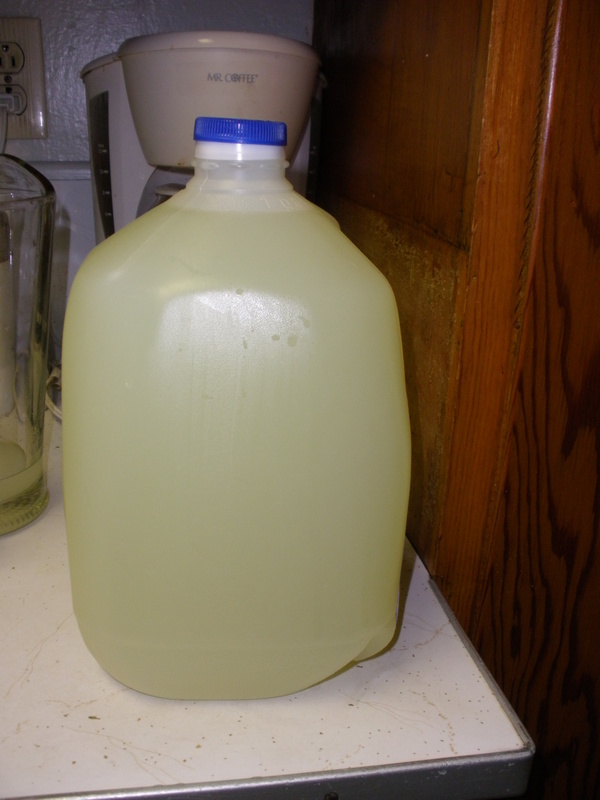 The jar should be completely under the water and the water should be level with the top of the jug. This keeps the water warmer, which keeps the yogurt warmer. Screw the lid onto the cooler and let it rest for about seven hours. I generally make the yogurt at bedtime and take it out in the morning, but it can be made in the morning if you have time to deal with it. I’d show you the finished jar of yogurt, but it looks just like the jar of milk except thicker. So, instead I’ll show you what I do with the yogurt to make it convenient and portable. These cute little plastic cups are available in the canning department of a store near you. They’re designed to be used in the freezer for jams, but are perfect for single serving yogurt. They actually come in packs of five for around three dollars, but one of mine seems to have “magically” disappeared. You can make the cups up one at a time but I like to make them all up at once to make packing lunch easier. Spoon a little jam, jelly, honey, pie filling or applesauce into the bottom of each cup. I used apple jelly, but I really like peach and cherry. Scoop yogurt in on top of the spread. Make sure you leave a little “head room” in each jar and screw the lids onto your cups and you’re finished. Just like disposable yogurt cups from the store only reuseable! Making your own yogurt may seem intimidating, but you have nothing to fear. 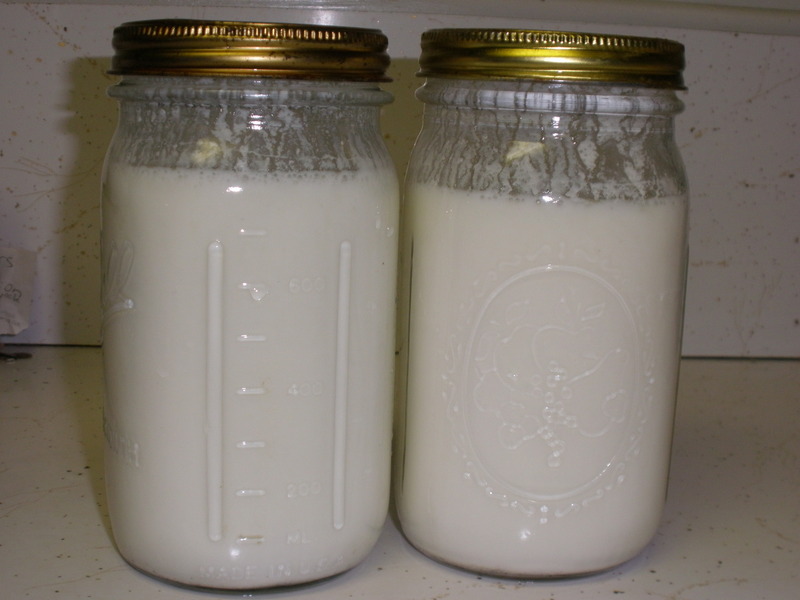 Homemade yogurt saves money and eliminates a great deal of garbage that is involved in pre-packaged yogurt. A quart of premade yogurt costs over $3, more if you buy individual containers or organic yogurt, and even more than that if you buy locally made yogurt (if it’s available where you live). When you make cheese, you have a lot of whey left over. 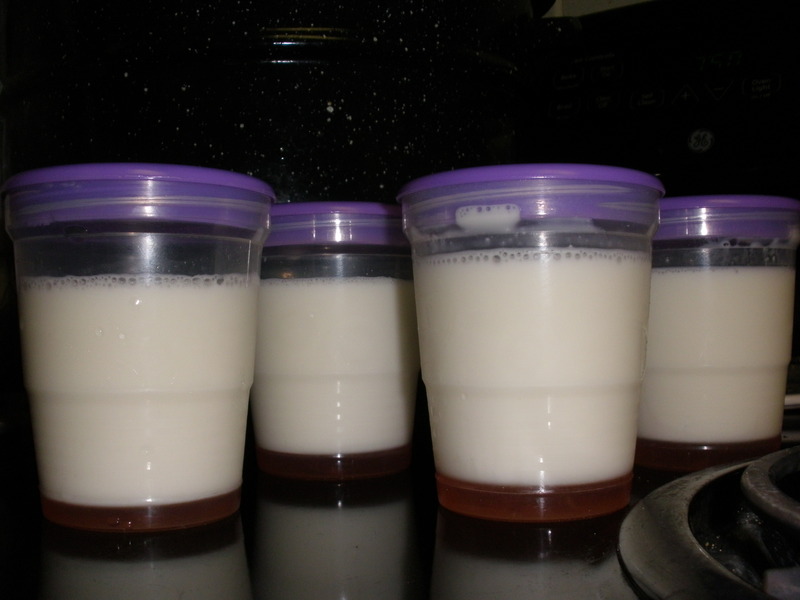 With yogurt, there is no waste, so homemade yogurt costs whatever your paid for your milk. If you pay $3.59 a gallon for milk, you will get four quarts of yogurt for that $3.59. Even if you buy organic or local milk, you are saving money on your yogurt. Plus, homemade yogurt is delicious! Feta brined and ready for the fridge. As a school teacher, it is easy to settle into the lazy days of summer. For three months I hike, run, garden, cook, walk to the Farmers’ Market, take my kids to the beach and actually read grown-up type books that I enjoy. This summer I also started canning again after a long hiatus and started making my own cheese and yogurt. I’d make a new batch of cheese every week. I started with mozzarella, tried feta and then moved on to hard cheeses. After a few batches, my husband even built me a cheese press. While each cheese has its merits, feta is by far my favorite. I have always loved feta, so when I found out how easy it was to make, I became even more enamored by its crumbly goodness. But, summer inevitably comes to an end. When September rolled around this year, I started to panic. Not only did I have to go back to work, but I had a class that I had to complete homework for and attend every week. How would I keep cooking good, homemade food? Where would I find the time to can? How would I go to the Farmers’ Market, pick berries, bake bread or make yogurt and cheese??? My life as I knew it came to a screeching halt. I didn’t know how I was going to manage all the things I needed to do. At one point, I was so distraught that I would come home from work and cry to my husband. I wanted to run away and live on a farm off the grid. None of this had anything to do with the actual work that I do every day; I love my job. I love working with kids and knowing that I’m making a difference. My distress was all about my lack of time. I needed to adjust and I didn’t know how. While I’ve wanted chickens ever since I read “Animal, Vegetable, Miracle” last summer, part of me needed them after school started. I researched and researched chickens. I learned about different breeds. I learned about how many eggs chickens lay and what color they are. I researched ordinances and the legality of chickens here in the city. I spent hours researching chicken coops and chicken care. 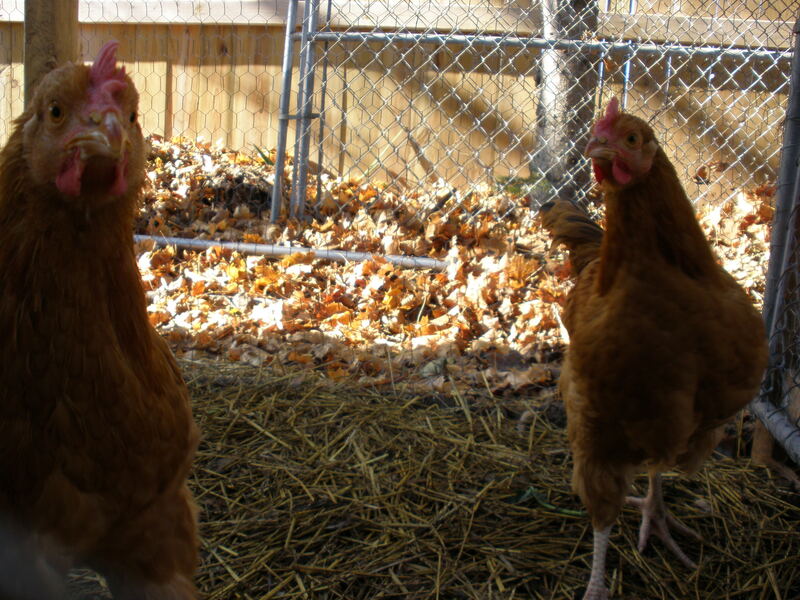 Getting chickens was my way of running away and living on a farm without having to really run away. Chickens weren’t a step away from the life I was living, but they were a step towards the life I want to be living. The impact those girls had on my mental health still amazes me. While they didn’t create any more time for me, they did remind me that there were things I could do to have the life I want. Even the undead need their exercise. Since the girls arrived in September I’ve started adding elements of my “summer life” back into my real life. I hike three to five days a week. 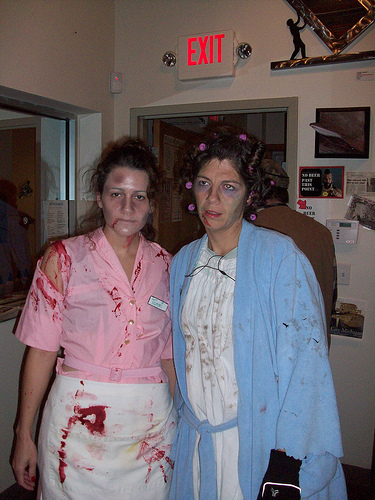 I haven’t managed to keep running regularly but I did run the Traverse City Zombie run and I’m signed up to do the Turkey Trot 5k Thanksgiving morning. I haven’t done much in the garden, but I planted a row of blueberry plants and I’ve got raspberries, grapes and soapwort waiting to go into the ground. I may not cook a homemade “slow” dinner seven nights a week, but I try to cook a “real” dinner for my family most nights and still try to eat as much local food as I can. I cook vats of soup on the weekends to freeze for lunches. I even signed up for the “Dark Days” challenge to try to cook a completely local meal at least once a week. I managed to can some tomatoes, jam and jelly and found time to can (and pick) countless apples. I’ve made it to the Farmers’ Market every Saturday morning and a couple of Friday evenings even though I couldn’t go to the Wednesday morning markets in September. I didn’t make it out often to pick berries, but I did get out once to get a couple quarts of blueberries for the freezer. I’m not making my own sandwich bread, but I have been making homemade loaves three or four nights a week. It took a while before I decided that I really did have the time to make yogurt, but in hindsight, that was silly. 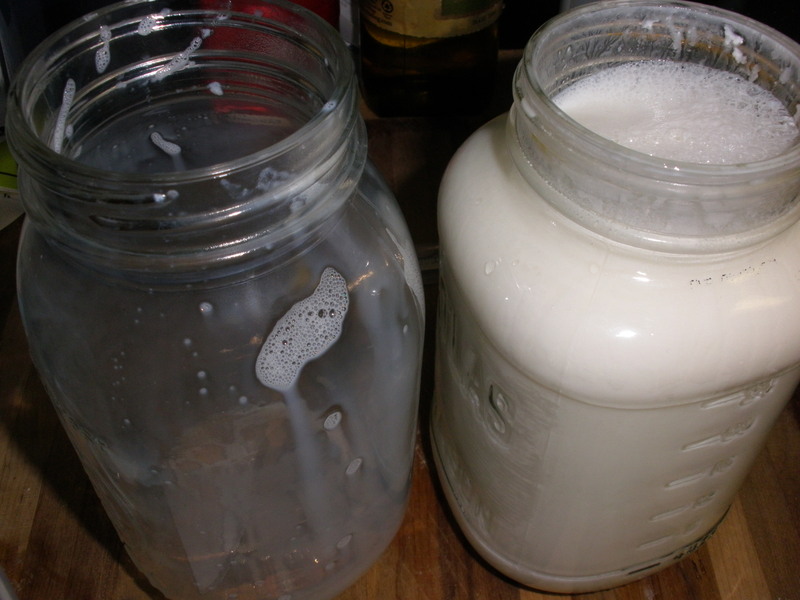 Yogurt is so easy; I make a quart or two a week now. Cheese however, is a completely different story. Cheese isn’t difficult, but it is intimidating and it takes a long time to make. In my mind, I just didn’t feel like I could spend that much time on one project when there are so many other things I could and should do with the time cheese takes. So what do you do when you go to the grocery store, purchase two gallons of milk and return home to find that you already have two-and-a-half gallons of milk, in your refrigerator?? You do what anyone else would do; start a batch of cheese and a quart of yogurt. When I got home from the store with The Milk, I put away the groceries and started a quart of yogurt. That barely made a dent; I still had over four gallons of milk left in the fridge. It was time to make cheese. Although I’ve been wanting to make cheese for a while (and I finished the last of my feta on the first Dark Days dinner) this wasn’t a cheese made of desire, but one of necessity. I got out the giant pot and poured in two gallons of milk. I turned on the stove and monitored the temperature until it reached 90°. I put the pot in an ice bath in the kitchen sink and let it cool back down to 86°. 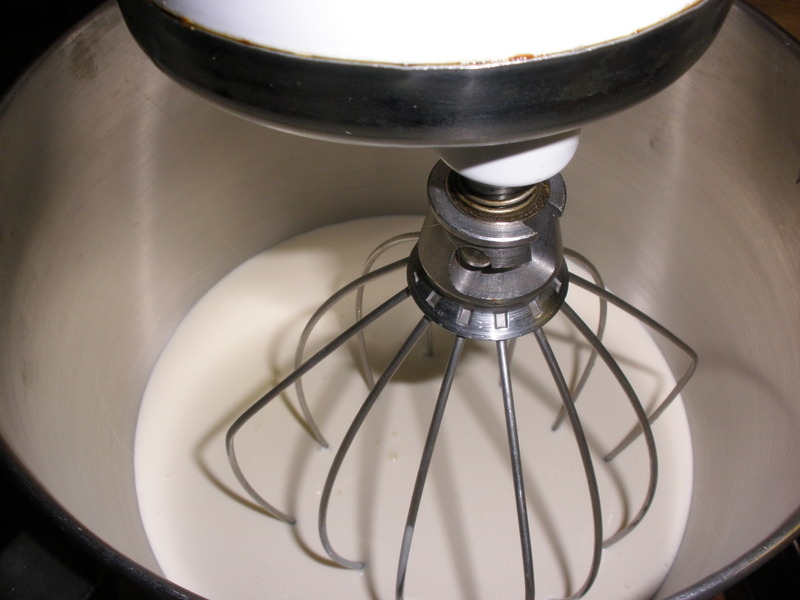 When the milk reached 86° I whisked two tablespoons of Brown Cow plain yogurt into it and let it rest for an hour. After the milk rested for an hour I mixed 40 drops of vegetable rennet into the milk and left it alone until the next day. Just like that I had eliminated half the milk in my fridge! The next day the milk had gelled and the whey had separated from the cheese curd. I cut the curds with my long bread knife, let them rest for 15 minutes and then drained the whey from the curds. I hung the curds to drip for the rest of the day and put them in the cheese press. 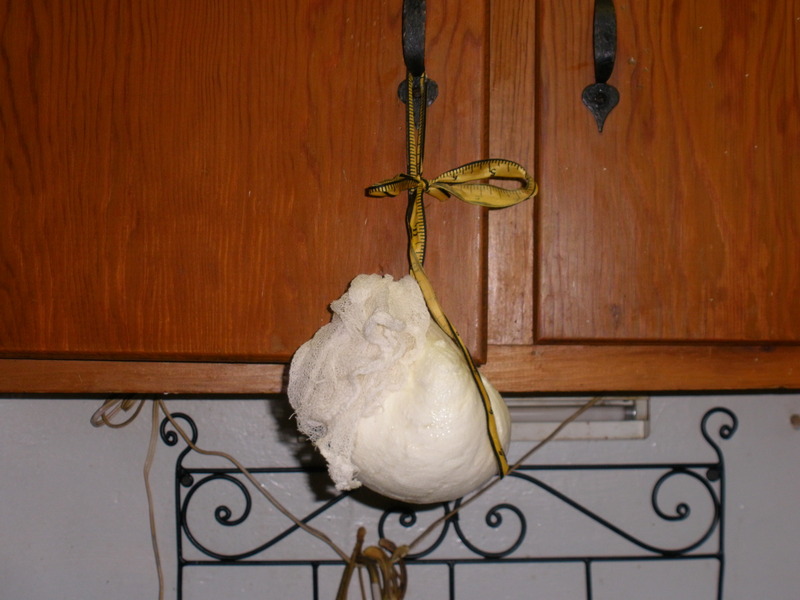 Hanging the cheese to separate the whey from the curds. 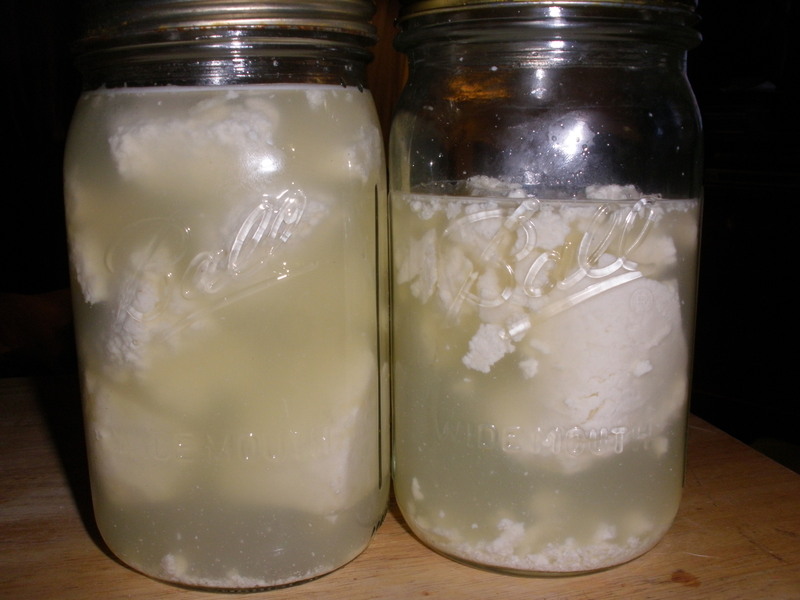 Today I removed the feta from the press, cut it into chunks and put them in mason jars filled with brined whey. In another day or two I’ll be able to enjoy my own, homemade feta cheese again. While it takes some time to make cheese from start to finish, it really isn’t that much work. The recipe is from Dr. Fankhauser at the University of Cincinnati. The amazing thing about making cheese is how much whey you have left over when you’re done. 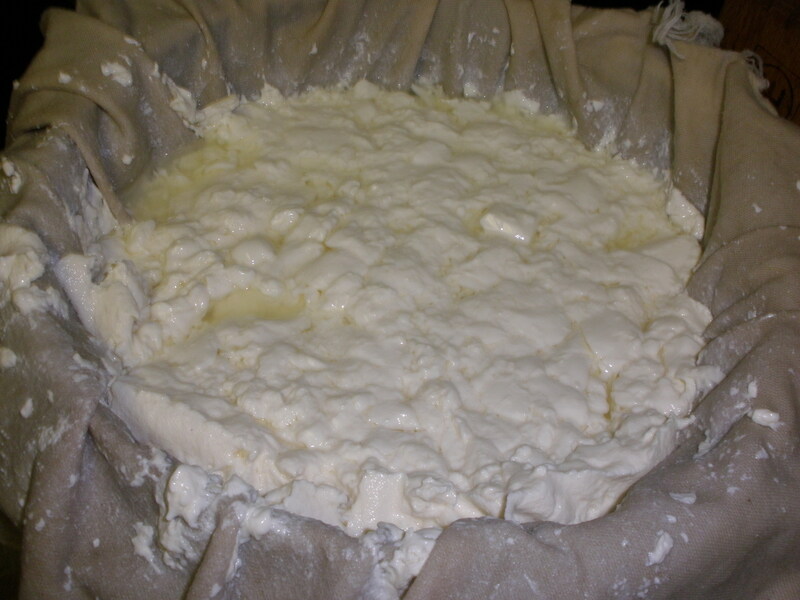 Two gallons of milk yields about six cups of feta cheese and a gallon and a half of whey. What do you do with all that whey when you’re done making cheese?? Stay tuned to find out! What do you do with all the whey once the cheese is made?